Mark your calendars! 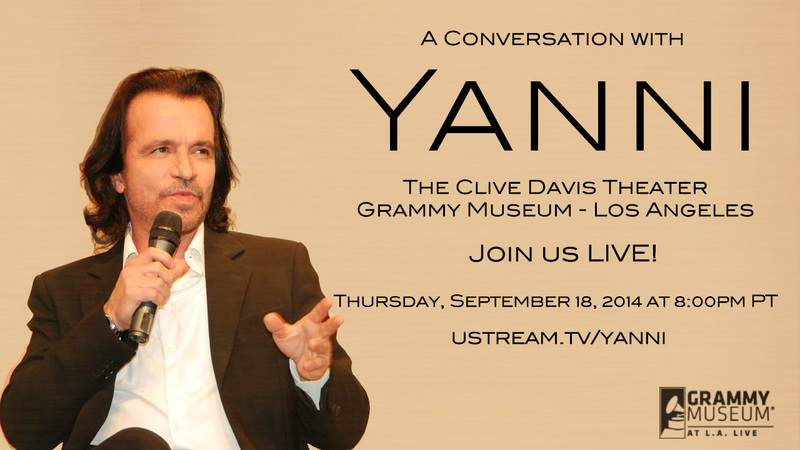 Yanni will be joining acclaimed journalist Steve Hochman at the Grammy Museum for an intimate conversation on Thursday, September 18th at 20:00p PT / 23:00 ET. #YanniQ&A for a chance to get your questions answered!